Guitar legend Steve Vai will be at the Carvin Audio and Amplifiers booth (Hall A # 6590) at the 2016 NAMM show to meet fans and sign autographs at 2:30pm on Saturday, January 23. San Diego, CA – January 15… Carvin Corporation, the company that helps musicians and audio professionals sound their best through personalized service and quality American built pro audio and instrument amplifiers is pleased to announce: Guitar legend Steve Vai will be at the Carvin Audio and Amplifiers booth (Hall A # 6590) at the 2016 NAMM show to meet fans and sign autographs at 2:30pm on Saturday, January 23. Steve has been playing Carvin amplifiers since the 1980s, and today he plays his signature model Carvin Legacy 3 100W 3 channel all tube guitar amplifier. Carvin Audio and Amplifiers would like to thank Steve Vai for his partnership over the years. Since 1946, Carvin Corporation has helped customers make sound investments by providing high quality American built pro audio and instrument amplifiers directly from the factory. 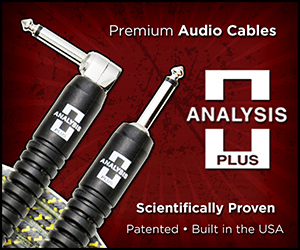 Carvin shares the passion that musicians and pro sound experts have about their sound. 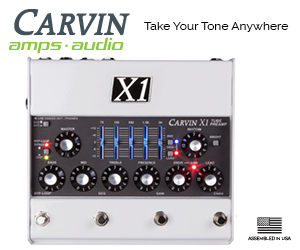 Carvin’s expert team of musicians and sound professionals offers personal support and helps customers confidently choose the right pro sound equipment or instrument amplifier for their application. 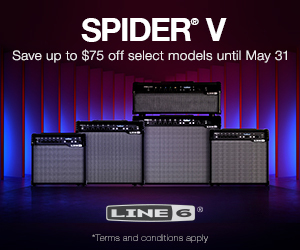 To order, visit Carvin Audio and Amplifiers online at http://www.carvinaudio.com or call us at 800-854-2235.